When the snow starts to fly and ice begins to form at our favorite vertical playgrounds, it is time to trade in the rock climbing shoes and chalk bags for crampons and ices axes. Winter is here and the climbing season has just begun! New England is THE place to be for this magical time of year! 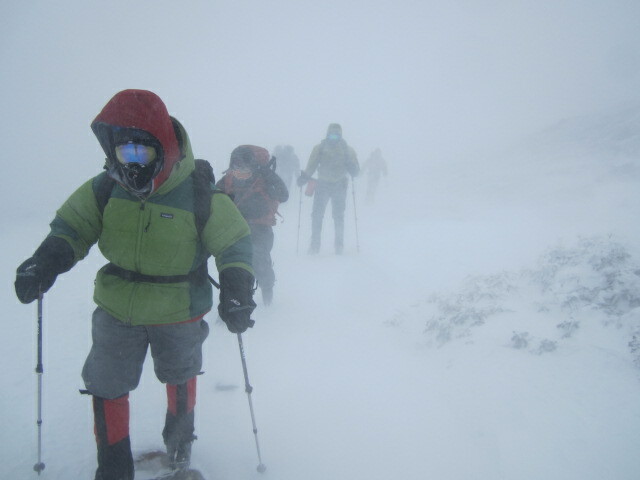 Don’t hibernate this season, come on out and join The Atlantic Climbing School to see what Old Man Winter has to offer. We offer private customized courses in ice climbing, mountaineering,snowshoeing and cross country skiing for everyone from an absolute beginner, to experienced outdoor enthusiasts looking to take their skills to the next level. From the granite mountains that rise from the frigid seas of Acadia, to the highest peak in the Northeast, Mount Washington, let our experienced guides make your winter a little more adventurous and FUN! - Make a reservation today!